Carrots are a great source of Vitamin A. Did you know that Vitamin A deficiencies can result in poor eyesight and other ocular conditions. However eating more carrots and taking Vitamin A supplements does not improve vision or reverse conditions. The rumor about carrots improving eyesight was started as a part of disinformation campaign in the 1940’s. The Royal Air Force was using an early form of radar and did not want the Nazis to know anything about this new technology. So to explain why British pilots had such an impressive records of hitting their targets, the Home Office explained that the pilots were eating large amounts of carrots. Another myth is the color. 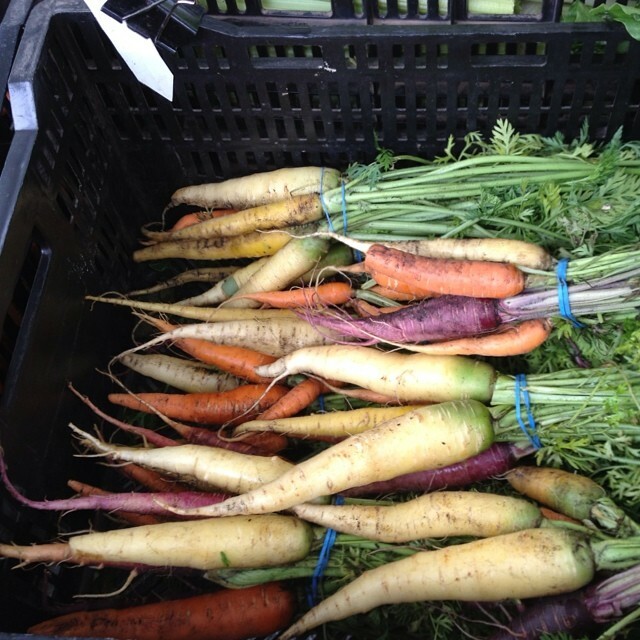 Today we associate carrots as being orange, but before the 16th century, carrots were red, yellow and purple. These carrots were originally found in central Asia and worked their way to the tables of Europe when trade with “the East” brought all manner of goods westward. Hybridization and the industrial revolution’s effect on mass farming led to the now ubiquitous orange. 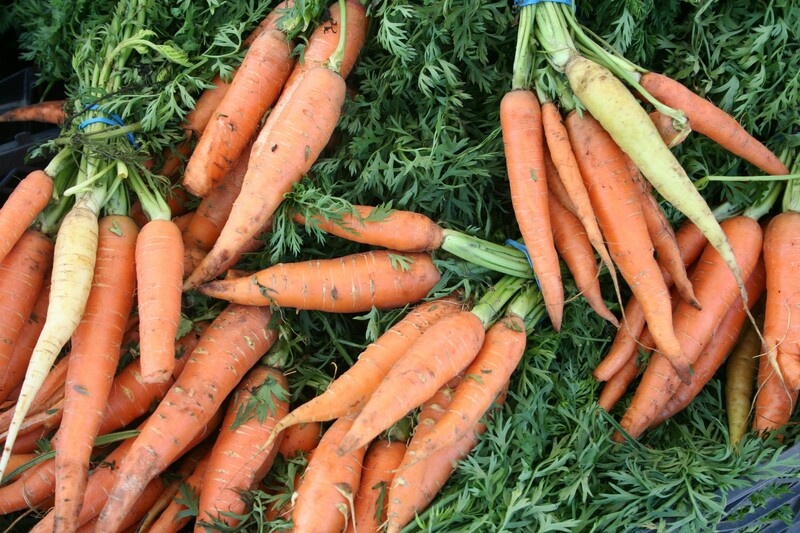 Colorful carrots can sometimes be found at local farmers’ markets. What is true about carrots is their powerful role in the diet. Study after study show that orange fruits and vegetables play a key role in fighting cardiovascular disease. (A little carrot ginger soup anyone?) Of course carrots are also a great source of antioxidant nutrients as well as fiber. Keep in mind that baby carrots and “baby cut” carrots are not the same thing. Baby carrots are vegetables that are harvested early. In the market. baby carrots will usually have their very pointy end intact. “Baby cut” carrots are larger carrots that have been whittled down mechanically from much larger carrots. The usual giveaways with them is that they are already “peeled” and of uniform shape. Sometime most of these carrots consist of the much lighter, and often bitter, core. The white ashy exterior on many of them is just the outer fibers drying out. Be advise, once peeled carrots start to lose their nutritional value. Most of the carrots consumed in the US come from California (no surprise there) but to find a wider variety of colors and sizes of carrots visit a local farmers’ market. From there decide if you’ll juice them, soup them, grate them for a salad, or how about roasting them with some cumin. Or just snack on them fresh from the market. Yum!